The Kettle Valley Rail (KVR) Trail, part of the TransCanada trail system, follows the Tulameen River through a colourful rock canyon, then across high range and forest. Princeton sits at the mid-point of the trail and it is downhill to Princeton both ways. Don't forget to stop on the "Bridge of Dreams" along the urban section. 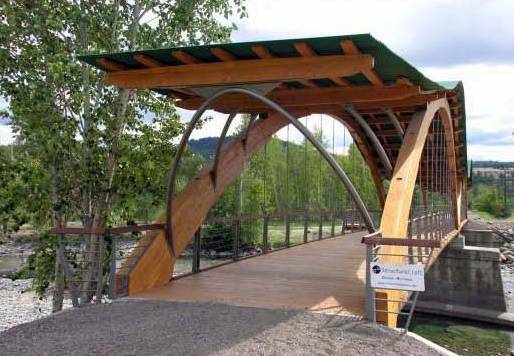 Completed in 2010, this award winning pedestrian bridge is the site of the last bridge that was constructed to complete the Kettle Valley Railway.